RIAA figures show U.S. download sales grew by $235 million lastyear, compared with $912 million in 2010–12. 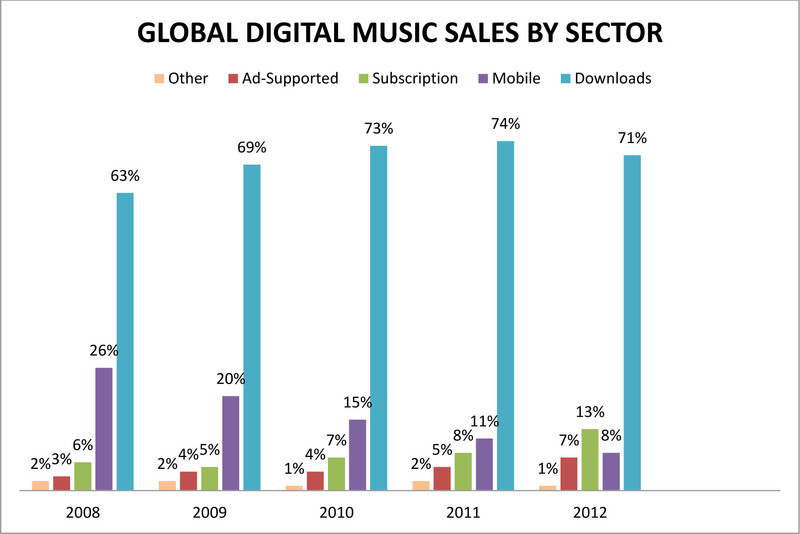 Low single-digital percentage growth is forecast for 2013. Download’s proportion of overall sales therefore fell from 73% i2011 to 70% lst year. Spotify reported revenue more than doubled in 2012 to $576million but losses rose to $77 million, from $60 million in 2011. Rhapsody revealed that in the first half of 2013 revenue was $68.6 million, down from $73 million a year earlier, and its net loss widened to $9.1 million from $5.6 million. Spotify is said to have 20 million active users and five million paying subscribers, and both services are investing in expansion, striving for dominance. But consumers want lower subscription levels. Google-owned YouTube looms over these services as the biggest music streamer of all. Its Partner Program offers uploaders 55% o any advertising revenue attracted to their video, YouTube taking 45%. ast May it introduced a trial of 53 subscription channels with prices ranging from $0.99 to $6.99 a month. Portability: Tracks can be loaded on to various devices, from smartphones and mobile players to computer hard drives and CDs. Price: No manufacturing, warehousing, or packaging costs. Choice: Consumers can buy individual tracks or complete works. Audio quality and data: Once a download disadvantage, several sites now offer CD-quality or, as in the case of the U.K.’s Linn, Studio Master, audio quality. Metadata has also improved and liner notes are usually available. Audio quality and data: Not all sites offer CD quality or better and metadata is often deficient and inconsistent; purchaser has to print out liner notes, a distinctive and desirable feature for classical consumers. No touchy-feely: Many consumers miss the tangibility of a CD and the material included in the packaging. 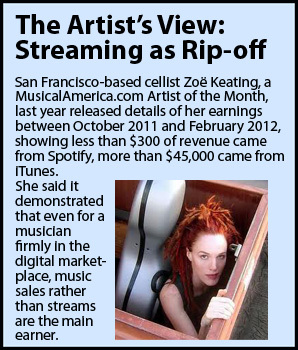 Pricing: Most downloads are sold on a track basis, so it’s 99 cents for two minutes or 10 or more minutes of music. Even sites that sell on a per-second basis charge the same for a solo recital as a choral work or symphony. Portability: As with downloads, tracks can be loaded on to various devices, from smartphones and mobile players to computer hard drives and CDs. Price: For consumers, “all you can eat” deals can be a bargain (for artists, see “cannibalism” below). Discovery: Streamers tend to listen to a wider range of music, broadening their horizons and the consumer base for genres such as classical. Cannibalism: Some critics claim streaming eats into music sales; speaking at a recent Classical: NEXT seminar, BIS label owner Robert von Bahr estimated that it takes at least 100 streams to provide the same revenue as one download. Revenue: Sites like Pandora and Spotify claim they pay 70-80% of revenue to artists, but artists and indie labels say otherwise. Only the popular artists get big bucks. Sound quality and data: This is not yet a platform for audio enthusiasts or liner note readers. ReverbNation: Boasts of two million artists, offers options of cellphone app, press kit, 10,000–100,000 fan base, iTunes, Spotify, and 40 more distribution outlets. Percentage take varies widely, depending on the artist’s prominence, annual number of releases per year, number of fans in his email data base, use of the app and press kit options, and much else. 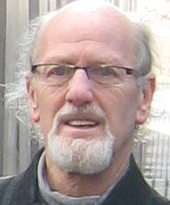 Charges the artist between $19.95 and $41.67 per month. TuneCore: Claims to have ‘‘hundreds of thousands of artists.’’ Albums cost $29.99 first year, $49.99 each following year, singles $9.99 each year, ringtones $19.99 each year, publishing administration. There is a $75 one-time setup fee. SongCast: 140,000 artists, $19.99 per album or $9.99 per single, plus $5.99 monthly account fee; its distributors are iTunes (111 countries), Google Play (14 countries), Rhapsody (5 countries), Spotify (world), MediaNet (world), Amazon (12 countries), Emusic (U.S., Europe, Canada). ONErpm: 15,000 artists, 70 stores, one-time fee ranging from free (six stores) to $599 (includes terrestrial radio distribution) plus 15% of royalties. Word to the wise: Choose carefully. If you switch aggregators, retailers such as iTunes and Amazon will delete past sales data on which they base chart listings. You have to climb back onto the charts through your new aggregator and in the meantime sales may slump. 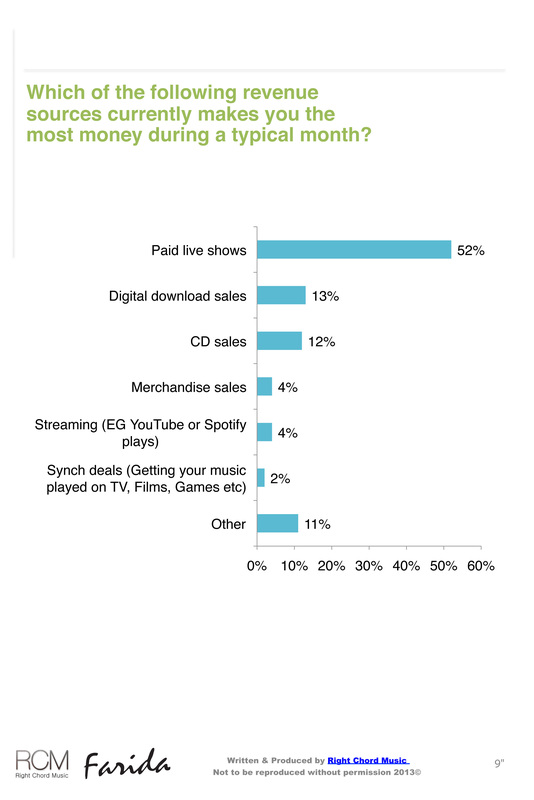 Consultancy Right Chord Music, in association with Farida Guitars, conducted a survey of 200 musicians across all genres, three-quarters of them unsigned, in the U.S., U.K., and Australia to assess their revenue sources and promotional activities in 2013. 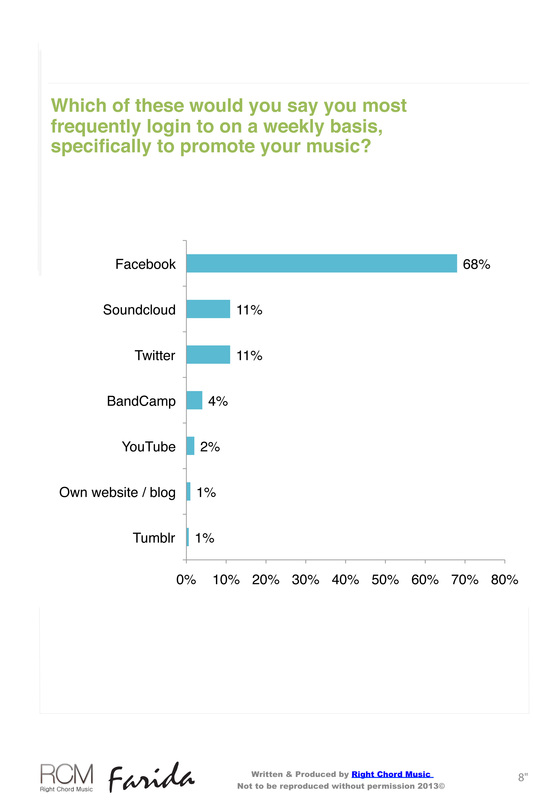 The clear message shown in the charts below is that social media such as Facebook, Twitter, Instagram, and YouTube are essential promotional tools.